Yes, Lionhead really is closing and its latest videogame offering, Fable Legends, is signing off with it, but thankfully the asymmetrical multiplayer adventure isn't closing down straight away - in fact, it will stay up and running for the next month and a half before being switched off at 15:00 GMT on Wednesday 13 April. In a recent email to all its registered users, the British studio confirmed the closed beta would continue to run as Lionhead slowly starts to wind down. The ability to purchase in-game gold (Fable Legends was free-to-play, with its in-game gold currency used to buy consumables and items for customisation) has now been disabled, with the developer confirming that all in-game gold purchases will be refunded. 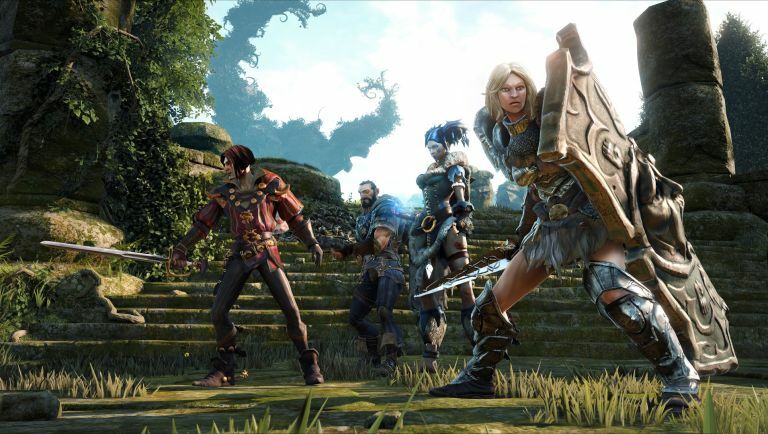 Announced in 2013, Fable Legends has been in development since 2012, but it seems the current build wasn't to the liking of Microsoft (who owns the first-party studio) as it continues to streamline its ongoing plan for the Xbox One as PS4 dominates the current console generation. Lionhead was founded back in 1996 and was led by veteran developer Peter Molyneaux for six years before his departure in 2012. Black humoured action-RPG series Fable was the studio's most popular export (with three main entries, a Kinect-only title, a pub games-style app and a multiplayer platformer released under the Fable banner), as well as the quirky god simulator franchise Black & White. Still, over a month left to play through Fable Legends and sadly ponder on what could have been.